The following information regarding milk thistle is from the book; The Healing Power of Herbs, by Michael T. Murray, N.D. The book was updated in 1995 and is published by Prima. Dr. Murray is also the co-author of Encyclopedia of Natural Medicine. Milk thistle has also been referred to as Mary thistle, Marian thistle, Lady’s thistle, Holy thistle, and the wild artichoke. The concentration of silymarin is highest in the fruit, but it is also found in the seeds and leaves. silybin is the silymarin component that yields the greatest degree of biological activity. Milk thistle’s ability to prevent liver destruction and enhance liver function is due largely to silymarin’s inhibition of the factors that are responsible for liver damage, coupled with its ability to stimulate the growth of new liver cells to replace old damaged cells. Glutathione is responsible for detoxifying a wide range of hormones, drugs, and chemicals. Increasing the glutathione content of the liver means the liver has an increased capacity for detoxification reactions. Perhaps the most impressive of silymarin’s protective effects is against the severe poisoning of Amanita phalloides (the deathcap or toadstool mushroom), an effect that has long been recognized in folk medicine.6-8 Ingestion of Amanita phalloides or its toxins causes severe poisoning and, in approximately 30 percent of victims, death. From the above-described actions, it is apparent that Milk Thistle, and more specifically silymarin, exerts both a protective and restorative effect on the liver. Obviously, silymarin is useful as an aid to the liver. It can be used to support detoxification reactions or in the treatment of more severe liver disease. In numerous clinical studies, silymarin has been shown to have positive effects in treating several types of liver disease, including cirrhosis, chronic hepatitis, fatty infiltration of the liver (chemicaland alcohol-induced fatty liver), subclinical cholestasis of pregnancy, and cholangitis and pericholangitis.17-35 The therapeutic effect of silymarin in these disorders has been confirmed by histological, clinical, and laboratory data. Silymarin may also be useful in improving the solubility of the bile in the treatment of gallstones and in psoriasis. The therapeutic effect of silymarin in these disorders is described below, along with a discussion on a new form of silymarin (phosphatidylcholine-bound silymarin) and its clinical effects. A more recent study highlights the benefit of silymarin in individuals exposed to toxic chemicals. In the study, abnormal results of liver function tests (elevated levels of two liver enzymes, AST and ALT activity) and/or abnormal hematological values (low platelet counts, increased white blood cell counts, and a relative increase in lymphocytes compared to other white blood cells) were observed in 49 of 200 workers exposed to toxic toluene and/or xylene vapors for 5-20 years. Thirty of the affected workers were treated with silymarin, the remaining nineteen were left without treatment. Under the influence of silymarin the liver function tests and the platelet counts significantly improved. The white blood counts also showed a nonsignificant tendency toward improvement. As described above, silymarin is quite effective in treating alcohol-related liver disease. There is a tremendous range in severity of alcohol-related liver disease, from relatively mild to serious damage. Serious damage to the liver results in cirrhosis-severe scarring (fibrosis). Even in this severe state, silymarin has shown benefit. Perhaps the most significant benefit is to extend the life span of these patients. In one study, eighty-seven cirrhotics (forty-six with alcoholic cirrhosis) received silymarin, while eighty-three cirrhotics (forty-five with alcoholic cirrhosis) received a placebo. The mean observation period was 41 months. In the treatment group, there were twenty-four deaths with eighteen related to liver disease; among the controls, there were thirty-seven deaths with thirtyone related to liver disease. The 4-year survival rate was 58 percent in the treatment group compared to 39 percent in the controls. Silymarin can also improve immune function in patients with cirrhosis.32 Whether this effect is involved in the hepatoprotective action or a result of improved liver function has yet to be determined. Silymarin is also useful in treating viral-induced liver damage. It is effective in both acute and chronic viral hepatitis. In a study of acute viral hepatitis, silymarin administered to twenty nine patients showed a definite therapeutic influence on the characteristic increased serum levels of bilirubin and liver enzymes compared with a placebo group. The laboratory parameters in the silymarin group regressed more than in the placebo group after the fifth day of treatment. The number of patients having attained normal liver values after 3 weeks’ treatment was significantly higher in the silymarin group than in the placebo group. Silymarin may help prevent or treat gallstones via its ability to increase the solubility of the bile, according to the results of a recent study.31 In the study, the composition of the bile was assayed in nineteen patients with a history of gallstones (four) or removal of the gallbladder due to gallstones (fifteen) before and after silymarin (420 milligrams per day for 30 days) or placebo. Silymarin treatment led to significant reduction in the biliary cholesterol concentration and bile saturation index. The connection between the liver and psoriasis relates to one of the liver’s basic tasks-filtering the blood. Psoriasis has been shown to be linked to high levels of circulating endotoxins, such as those found in the cell walls of gut bacteria. If the liver is overwhelmed by an increased number of endotoxins or chemical toxins, or if the liver’s functional ability to filter and detoxify is decreased, the psoriasis gets much worse. Another factor in psoriasis is excessive production of leukotrienes. Silymarin has been shown to reduce leukotriene formation by inhibiting lipoxygenase.12 Therefore, silymarin would inhibit one of the causes of the excessive cellular replication. Recently, a new form of silymarin has emerged that may provide the greatest benefit. The new form binds silymarin to phosphatidylcholine, the key component of cellular membranes throughout our bodies. Preliminary research indicates that bound silymarin is absorbed better and produces better clinical results. One of the significant features of this study is the fact that silymarin has been shown to improve the solubility of the bile. Since more silymarin is being delivered to the liver and gallbladder when the phosphatidylcholine-bound silymarin is used, this form is ideal for individuals with gallstones or fatty infiltration of the liver-two conditions characterized by decreased bile solubility. Several clinical studies have also shown phosphatidylcholine-bound silymarin to be more effective. In one study, eight patients with chronic viral hepatitis (three with hepatitis B, three with both hepatitis B and hepatitis C, and two with hepatitis C were given one capsule of phosphatidylcholine-bound silymarin (equivalent to 140 milligrams of silymarin) between meals for 2 months.40 After treatment, serum malondialdehyde levels (an indicator of lipid peroxidation) decreased by 36 percent, and the quantitative liver function evaluation, as expressed by galactose elimination capacity increased by 15 percent. A statistically significant reduction of liver enzymes was also seen: AST decreased by 17 percent and ALT decreased by 16 percent. In another study designed primarily to evaluate the dose-response relationship of phosphatidylcholine-bound silymarin, positive effects were again displayed.41 In the study, patients with chronic hepatitis due to either a virus or alcohol were given different doses: twenty patients received 80 milligrams twice daily, twenty patients received 120 milligrams twice daily, and twenty patients received 120 milligrams three times daily for 2 weeks. At all tested doses, phosphatidylcholine-bound silymarin produced a remarkable and statistically significant decrease of mean serum and total bilirubin levels. When used at the dosage of 240 or 360 milligrams per day, it also resulted in a remarkable and statistically significant decrease in ALT and GGTP liver enzymes. These results indicate that even short-term treatment of viral or alcohol-induced hepatitis with relative low doses of phosphatidylcholine-bound silymarin can be effective, but for the best results higher doses are indicated. As silymarin possesses choleretic activity, it may produce a looser stool as a result of increased bile flow and secretion. If higher doses are used, it may be appropriate to use bile-sequestering fiber compounds (e.g., guar gum, pectin, psyllium, and oat bran) to prevent mucosal irritation and loose stools. Because of silymarin lack of toxicity, long-term use is feasible when necessary. 1. Awang D: Milk thistle. Can Pharm j 422, 403-404,1993. 2. Wagner H: Antihepatotoxic flavonoids. In: Plant Flavonoids in Biology and Medicine: Biochemical, Pharmacological, and Structure-Activity Relationships (Cody V, Middleton E, and Harbourne JB, eds.). Alan R.Liss, New York, 1986, pp. 545-558. 3. Adzet T: Polyphenolic compounds with biological and pharmacological activity. Herbs Spices Med Plants 1, 167-184,1986. 4. Hikino H, et al. : Antihepatotoxic actions of flavonolignans from Silybum marianum fruits. Planta Medica 50,248-250,1984. 5. Wagner H: Plant constituents with antihepatotoxic activity. In: Natural Products as Medicinal Agents (Beal JL and Reinhard E, eds.). Hippokrates-Verlag, Stuttgart, Germany, 1981. 6. Vogel G, et al. : Protection against Amanita phalloides intoxication in beagles. Toxicol Appl Pharm 73, 355-362,1984. 7. Desplaces A, et al. : The effects of silymarin on experimental phalloidin poisoning. Arzneimittel-Forsch 25,89-96,1975. 8. Vogel G, et al. : Studies on pharmacodynamics, site and mechanism of action of silymarin, the antihepatotoxic principle from Silybum marianum (L.) Gaert. Arzneimittel-Forsch 25, 179-185, 1975. 9. Sarre H: Experience in the treatment of chronic hepatopathies with silymarin. Arzneimittel-Forsch 21, 1209-1212,1971. 10. Valenzuela A, et al. : Selectivity of silymarin on the increase of the glutathione content in different tissues of the rat. Planta Medica 55, 420-422, 1989. 11. Muzes G, et al. : Effect of the bioflavonoid silymarin on the in vitro activity and expression of super oxide dismutase (SOD) enzyme. Acta Physiol Hungarica 78, 3-9, 1991. 12. Fiebrich F and Koch H: Silymarin, an inhibitor of lipoxygenase. Experientia 35,148-150,1979. 13. Fiebrich F and Koch H: Silymarin, an inhibitor of prostaglandin synthetase. Experientia 35, 150152,1979. 14. Valenzuela. A, et al. : Silymarin protection against hepatic lipid peroxiclation induced by acute ethanol intoxication in the rat. Biochem Pharm 34, 2209-2212,1985. 15. Sormenbichler J, et al. : Stimulatory effect of silybinin on the DNA synthesis in partially hepatectomized rat livers: Non-response in hepatoma and other malignant cell lines. Biochem Pharm 35,538541,1986. 16. Sormenbichler J and Zed I: Biochemical effects of the flavonolignan silybinin on RNA, protein and DNA synthesis in rat livers. In: Plant Flavonoids in Biology and Medicine: Biochemical, Pharmacological, and Structure-Activity Relationships (Cody V, Middleton E, and Harbourne JB, eds.). Alan R. Liss, New York, 1986, pp. 319-331. 17. Schopen RD, et al. : Searching for a new therapeutic principle. Experience with hepatic therapeutic agent legalon. Med Welt 20, 888-893, 1969. 18. Schopen RD and Lange OK: Therapy of hepatoses. Therapeutic use of silymarin. Med Welt 21, 691698,1970. 19. Sarre H: Experience in the treatment of chronic hepatopathies with silymarin. Arzneimittel-Forsch 21, 1209-1212,1971. 20. Canini F, et al. 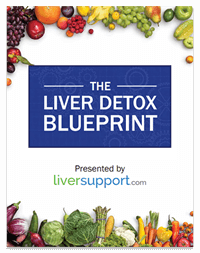 : Use of silymarin in the treatment of alcoholic hepatic steatosis. Clin Ther 114, 307314,1985. 21. Salmi HA and Sarna S: Effect of silymarin on chemical, functional, and morphological alteration of the liver. A double-blind controlled study. Scand j Gastroenterol 17, 417-421, 1982. 22. Scheiber V and Wohlzogen FX: Analysis of a certain type of 2 x 3 tables, exemplified by biopsy findings in a controlled clinical trial. Int j Clin Pharm 16, 533-535, 1978. 23. Boari C, et al. : Occupational toxic liver diseases. Therapeutic effects of silymarin. Min Med 72, 2679-2688,1981. 24. Grossi F and Viola F: Protettori di membrana e silimarina nella terapia epatologica. Cl Terap 96, 1123,1981. 25. Maneschi M, Tiberio C, and Cittadini E: Impegno metabolico dell’epatocita in gravidanza: Profilassi e terapia con un farmaco stabilizzante di membrana. Clinica Terapeutica 97, 625-630, 1981. 26. Bulfoni A and Gobbato F: Evaluation of the therapeutic activity of silymarin in alcoholic hepatology. Gaz Med Ital 138, 597-608, 1979. 27. Cavalieri S: A controlled clinical trial of Legalon in 40 patients. Gaz Med Ital 133, 628-635, 1974. 28. Saba P, et al. : Therapeutic effects of silymarin in chronic liver diseases due to psychodrugs. Gaz Med Ital 135,236-251,1976. 29. De Martis M, et al. : La silymaina, farmaco membranotropo: Ossevazioni cliniche e sperimentali. Cl Terap 81, 333-362,1977. 30. Szilard S, Szentgyorgyi D, and Demeter 1: Protective effect of Legalon in workers exposed to organic solvents. Acta Med Hung 45,249-256,1988. 31. Ferenci P, et al. : Randomized controlled trial of silymarin treatment in patients with cirrhosis of the liver. J Hepatol 9, 105-113, 1989. 32. Deak G, et al. : Immunomodulator effect of silymarin therapy in chronic alcoholic liver diseases. Orv Hetil 131,1291-1292,1295-1296,1990. 33. o E, Gagliardi B, and Fiori GP: Results of a double blind study on the effect of silymarin in the treatment of acute viral hepatitis, carried out at two medical centres. Med Klin 73, 10601065,1978. 34. Berenguer J and Carrasco D: Double-blind trial of silymarin versus placebo in the treatment of chronic hepatitis. Muench Med Wochenschr 119, 240-260,1977. 35. Nassauto G, et at. : Effect of silybinin on biliary lipid composition. Experimental and clinical study. J Hepatol 12, 290-295, 1991. 36. Kock HP, Bachner J, and Loffler E: Silymarin: Potent inhibitor of cyclic AMP phosphodiesterase. Meth Find Exp Clin Pharm 7,409-413,1985. 37. Weber G and Galle K: The liver, a therapeutic target in dermatoses. Med Welt 34,108-111,1983. 39. Barzaghi N, et al. : Pharmacokinetic studies on IdB 1016, a silybin-phosphatidylcholine complex, in healthy human subjects. Eur J Drug Metab Pharmacokinet 15(4), 333-338,1990. 40. Mascarella S, et al. : Therapeutic and antilipoperoxidant effects of silybin-phosphatidylcholine complex in chronic liver disease: Preliminary results. Curr Ther Res 53(l), 98-102,1993. 41. Vailati A, et al. : Randomized open study of the dose-effect relationship of a short course of IdB 1016 in patients with viral or alcoholic hepatitis. Fitoterapia 44(3), 219-228, 1993.